Dont miss the Winter Party Festival. This year's festival takes place February 27 to March 5, 2019 and is by far the grandest one yet with two huge weekend dance events with Masterbeat and the biggest pool party ever at the festival. For the LGBTQ community, Winter Party is a place to rejuvenate, recharge, and let loose - but mostly its a place to feel free. This world-renowned weeklong celebration in Miami Beach is one of the most important and fun LGBTQ events of the year. Its definitely not one to be missed. What started in 1994 as a one-day mega dance party on Miami Beach, the first ever actually held on the beach, it now runs the full week. It has evolved into an event that celebrates the true spirit of "chosen family" among the global LGBTQ community. Not only a massive party with an impressive lineup of internationally acclaimed DJs, this event has raised millions of dollars over the years for LGBTQ causes. "People always ask me what it is that makes Winter Party Festival different from all other events like it, and the answer is love. It is a labor of love for the staff and consultants involved, and especially for the dozens of volunteers who have sustained it and allowed it to flourish over the years. And all of that culminates in an atmosphere of love among the guests who attend our events, said Michael Bath, Events Director for the National LGBTQ Task Force. For the last 13 years, this Party with a Purpose has been produced by the National LGBTQ Task Force. Even though its well known as an incredible weeklong dance and music event, it's also a fundraiser for both the Task Force and the South Florida LGBTQ community. As a matter of fact, together with its sister event the National LGBTQ Task Force Gala  Miami, the Task Force has given back $2.7 million towards LGBTQ causes. 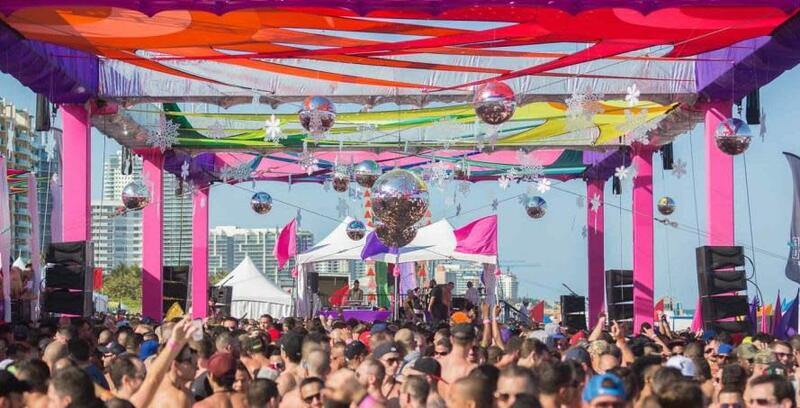 Winter Party is a festival of high-energy dance and social events produced to raise critical funds for the LGBTQ community and brings over 10,000 people from around the globe together to sunny Miami Beach for an unforgettable week. With more than 20 events featuring beautiful men and women, hot dance parties in spectacular nightclubs, cocktail receptions and pool parties, Winter Party culminates with the sexiest beach party on the planet. Live Free. Play Hard. Give Back.